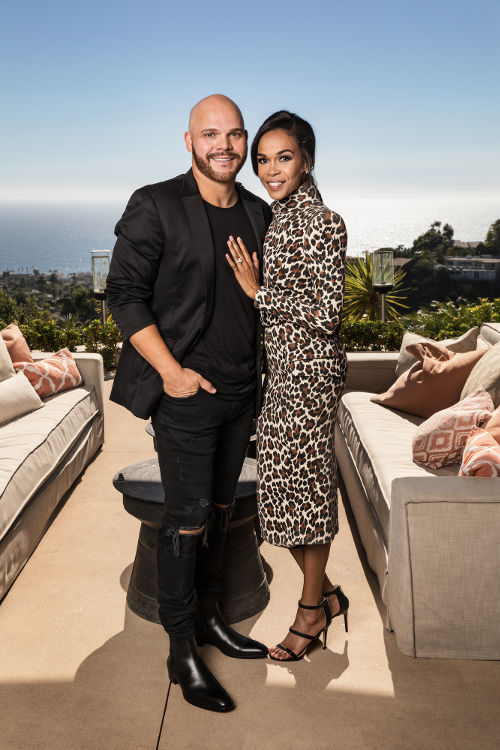 Singer Michelle Williams and her fiance Chad Johnson are letting the world in on their relationship on their new reality show, “Chad Loves Michelle," as they gear up to make it down the aisle. Episode 2 aired on OWN over the weekend and folks are side eyeing the hell out of Chad. Especially after all those pro-Alt Right deets were dug up months ago (which Michelle's team reached out to us about back in April and was very upset about us posting). Well, red flag #2 has arisen. Michelle and Chad had a fight and ish went totally left. The former Destiny's Child singer brought up the fact that Chad may not understand where she's coming from at times being that he's not black. That offended him and when he responded, he brought up her mental health struggles in the mix. “I said something to him on the lines of ‘Well, Chad because you are not black, you wouldn’t understand why I communicate the way I do," Michelle spilled to their therapist via video conference. "Maybe because you didn’t grow up around a lot of Black people.’ And so that was very, very offensive to Chad," she continued. Chad chimed in with the usual spill white people do when they're called out over race. “To me, it doesn’t matter if you’re black, white, green, yellow, it doesn’t matter. If you know that the other person is like, ‘I didn’t like the way you said that then seek to find some understanding as to why that person didn’t like what you said. And let’s keep that the issue and not pull in all these other things because then it feels like you’re just trying to cut and push further away,” he told the therapist. That's not all he said though. Pastor Chad Johnson went for the jugular and responded in the worst way possible. "And this is not to justify it, but yesterday when we had the disagreement, he said 'Did you take your meds today? '," Michelle said. “But wait. That was, Dr. Thema…I would never go there and I apologized for it," Chad responded. “But you shouldn’t go there regardless," Michelle responded. When Jesus say yes, check to see if that's actually a No to this relationship, girl. The next episode of "Chad Loves Michelle" airs this Saturday at 9|8c on OWN.